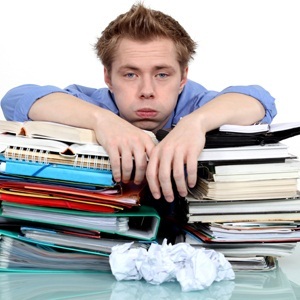 Tips to guide parents of matriculants during finals; what and what not to do. It’s that time of the year where exams are drawing closer. For the matriculants who are preparing to take their final school exam there is even more pressure. These set of results sets the tone for their future and can be an extremely stressful time in not only their lives, but in the lives of the parents as well. As the parent of a matriculant you undoubtedly want to make sure your child studies hard with a focus on achieving a good pass. You tell them things likes “If you don’t do well then you will not get into university” or “the family is counting on you to get top marks”. Without even realising it you are adding to the stress and pressure experienced by your child when all you wanted to do is to help and motivate them. Many parents struggle as to how best they can support and help their children through the challenges of exams. Parents don’t realise it but you play an important role in helping your child cope with exams. It’s not your exam – You need to constantly remind yourself it is not your exam. Acknowledge your child has different study habits compared to when you wrote matric and respect this difference. Avoid confusing your child with last minute study techniques and causing unnecessary anxiety. Keep calm and stop feeling as if you are the one writing the exam. Keep a healthy diet going – Make sure your child is eating all the rights foods such as fruit and healthy snacks. Have your child start their day, especially exam days with a healthy breakfast. Persuade your child to minimise the chocolate and caffeine intake. Take regular breaks – Encourage your child to take regular breaks. You can spend time with them watching TV or doing something fun together, even if it is a power nap or exercise. The important thing is your child takes their mind off studying every now and then. Be supportive – Your child can become irritable and moody when in the middle of exams. Try not to be too hard on them if they snap at you or forget to do something in the house. Keep noise and distractions to a minimum. Let them know you are there for them no matter what. Be observant – Observe your child’s behaviour. If they come across as if they are struggling to cope then sit them down and talk about it. Ask them what you can do to make things easier. It is important they are able to talk to you about what is on their mind. Love them – Let your child know you are there for them and you love them no matter what. Motivate and encourage them to try their best. Tell them exams can always be retaken if they are not happy with their results. Hug them often and make them laugh to help ease the pressure a bit. What are you doing to cope with the stresses of exams?